Fevad figures demonstrating an ecommerce market continuously growing (+1 pt over brick-and-mortar commerce every year), statistics at EU level positioning France as third “only” of ecommerce sales. Here is to give etailers some legitimate ideas to expand internationally whether they consider themselves at maturity in their domestic market or not. B to C e-commerce turnover in €billions – (forecast) : Forecast – source: Ecommerce Foundation. This article is not about debating personal convictions : should one capture their local market before expanding their geographical operations (one country after the other) or instead throw many nets at a time. This question is to be answered by the entrepreneur. However, it is about figuring out what the priority markets are and sell products. The ultimate way to appreciate buyers’ interests for your products is to expose them. To that end, international marketplaces stand for an ideal channel for a POC (“Proof of concept”). Not only do most marketplaces have ready-to-use tools to make adding a new country easy in your settings, but they also provide a range of statistics : competitors name and prices, sales projections, thereby enabling to stock best-sellers in the suitable quantity. Should products already exist in the marketplace database, retailers are then exempt from translating description and product features and free from technical issues to publish their listings. The set up can be completed in a couple of hours. Make sure your current shipping carriers provide “acceptable” fares for delivering into your new markets. Should the POC be successful, then acceptable fares should become competitive on the domestic market, both in terms of time and price. Provide your best effort to process 100% of orders originated from marketplaces in the new countries. Over a minimal cancellation rate or negative reviews, the marketplace is likely to penalize retailers on their overall marketplace activity, therefore including their historical channels, generally making most of the sales. Beware of stock shortage, picking errors, extended response times. In other words, make sure you are prepared and stringent when sales go up ! Sign up a plan with a feed management solution (Shopping Flux, Lengow, Neteven..) for your PrestShop. They are already connected to most marketplaces. The catalog will be pushed from PrestaShop towards marketplaces in both cases, however do not forget to primarily set up your selected countries in either the module settings or directly onto the marketplace settings. When the POC is over and has demonstrated which market opportunities to seize, one retailer may wonder whether to maintain marketplaces up and running or shut down feeds. In option 1, it is appropriate to look for ways to optimize profitability as the withdrawn fees are high. In option 2, retailers will favor selling their products directly on their store (and collect full margin). How to optimize marketplaces ? Firstly (re)negotiate shipping fees for your new markets, then consider signing up for one marketplace program ‘Fullfillment by”. Make sure you have made several projections in your business plan and keep an eye on ROI for this program. Adjust prices downward to the market situation, withdraw products having too little margin, finally overstock your best-sellers (therefore optimizing buying price and shipping fees). A retailer newly selling internationally from its store should not expect generating as much sales than primarily on marketplaces. Most of online stores do not get the same amount of traffic nor similar financial capacity to communicate. A POC on marketplaces is more about identifying opportunities in terms of trends from one country to the other than set up a target in absolute. In any case, keeping in mind the good quality/service ratio, the question of how to deal with stock and shipments is on the table. Identifying opportunities is not enough to make the project successful. In order to maintain buyers’ interest for your products and generate sales, it is necessary – as mentioned above – that the shipping fees and delivery times are as competitive as if buyers were purchasing from a domestic player. In fact, this truth is less applicable if one has an exclusive distribution deal, sells rare products or products subject to a buzzing effect. If so, competitors might run out of stock before you do. You are then not capturing the market but what’s left of it. For competitve reasons, some retailers decide to split their stock and implement multiply buffer stocks in local countries. This can be done on one own’s name but is rather time-consuming. It implies registrating a local company, hiring order pickers and / or stock managers, set up working processes and contracting with shipping carriers. In the long run, this is the way to go. Alternatively, some service providers can host a buffer stock. Acting as a super logistician, they have representation rights, manage clients service, product returns and so forth (Salesupply is one of them). This may be to consider as an intermediate, easy-to-go step and requires thorough calculation in the business plan. As any service provider, this solution is costly. The next post will be about how to configure PrestaShop to sell internationally : new language, currency, VAT rates, either in monostore or multistore. 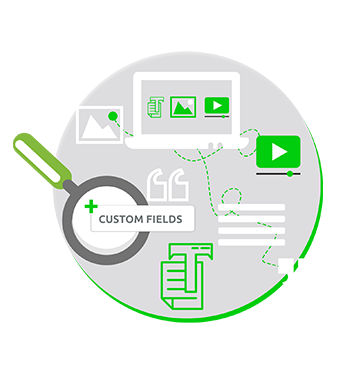 Following several months of developments, we are very pleased to announce the availability of the Advanced Custom Fields module for PrestaShop 1.6 and PrestaShop 1.7. 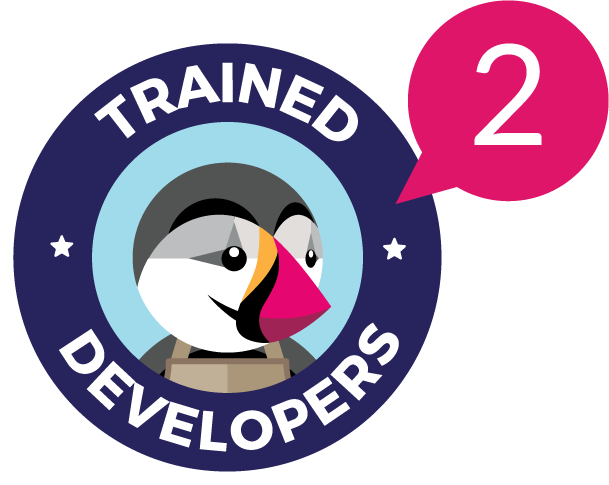 This module is designed for retailers and developers and allows you to add fields to all features of the PrestaShop Back Office. 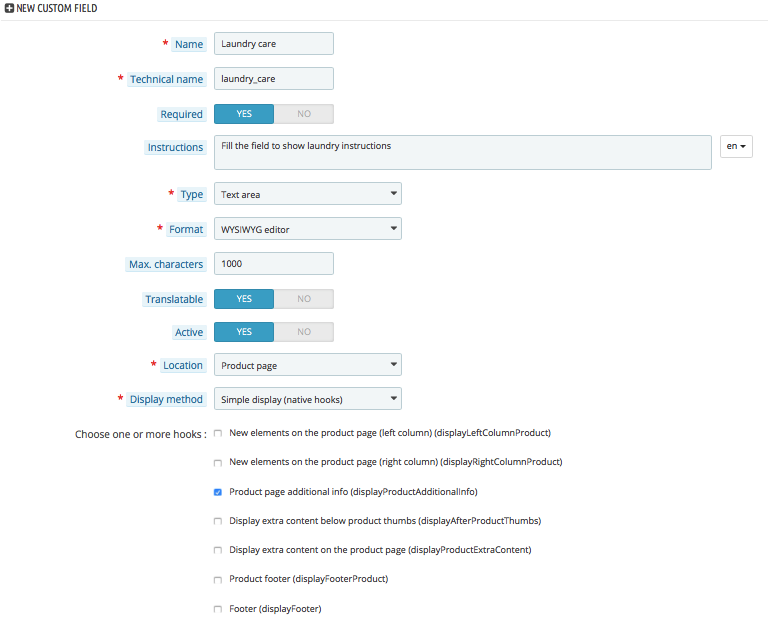 Why add fields to PrestaShop? In consumer electronics, some retailers retain the serial number of the devices sent to every customer, and so they need to have a field in their Back Office editor. For sports equipment sellers, it’s a good idea to retain a buyer’s sports association, and perhaps even their licence number. A shoe retailer may wish to add a second description field as a way of storing maintenance advice. Why create a module to add additional fields? 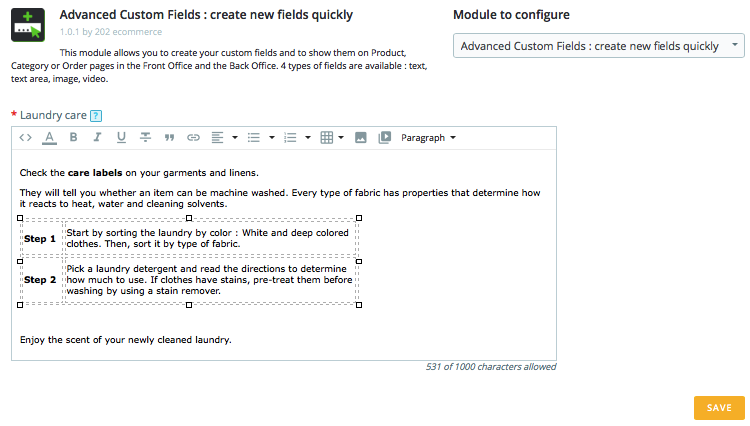 The advanced custom fields module allows you to add a field to a PrestaShop feature (Product, Categories, etc…), select the type (text, formatted text, image, etc…) and then select whether or not this field should be visible to consumers on your store’s Front Office. With this module, you can of course add as many fields as necessary, you can rename and delete, and you get an overall view which allows you to see the value of the field(s) on all PrestaShop features. In the Front Office, a tab is displayed for all products onto which text has been entered in the “Maintenance advice” field. You can then confidentially save and record the information you want on each order. For more usage examples or to buy the module, go to our module’s Add-ons page. As you can see, this module does not meet one specific need. 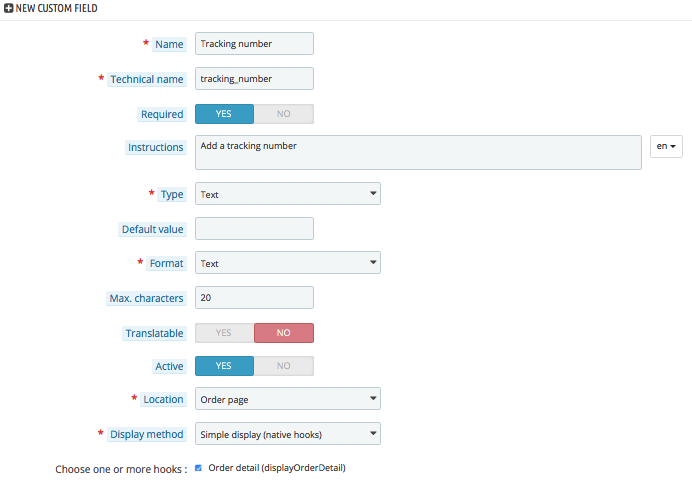 Instead, it’s a tool that developers and retailers can use to customise PrestaShop fields according to their needs. For the time being, this is the very first version of this module, so please feel free to tell us about your needs so that we can create a roadmap of developments and changes. 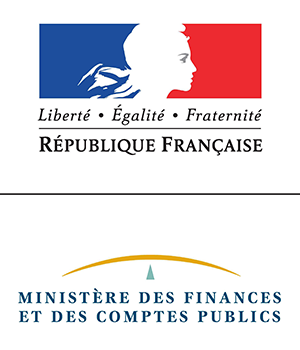 The French VAT anti-fraud law (loi 2015-1785) is currently running a lot of ink. In particular, sellers are worried about article 88. What is the law about? This reform is aimed at helping French Tax Administration control and fight against VAT fraud, estimated to stand for a 14 billions euros shortfall every year. What do sellers have to do? To become compliant with the law, your payment administration system must be certified by an accredited organization and provide you with a certificate of compliancy. Therefore, the whole ecosystem of payment solutions, management tools and accounting softwares have been working hard to get there over the past few years. What about PrestaShop ? The software will be compliant when the law comes into effect. In other words, it will be certified to the new regulations and able to provide sellers with a certificate. This will be done through a module currently under development and soon to be integrated natively into PrestaShop and for free. 202 ecommerce therefore anticipates sellers will have little falling on their plate. We shall relay any updates and tutorials from PrestaShop about generating your certificate. This being said, the law has been significantly mitigated over spring and no longer apply to all sellers. The law was originally meant to apply to all management systems including all channels management softwares, online and offline, ERP and so forth. But it was eventually reduced to physical points of sales only. Therefore shall be concerned by the law, PrestaShop sellers managing brick and mortar points of sales, whether it is a physical store, a corner shop in a mall or any place collecting physical payments. Since spring, PrestaShop is no longer required to comply with the law except for its modules collecting payment in physical points of sales. However their COO has confirmed still proceeding to full compliancy for the software all together before Jan 1st 2018. This news shall definitely ease the most preoccupied minds ! For 202 ecommerce, as for any member of the IT community, designing long haul and stable solutions for our clients is a battle we pursue everyday. As long as we act as an agency within the specific context of a merchant, the amount of necessary tests is known and limited. However, as soon as we design modules intented for all PrestaShop merchants, the amount of tests goes skyrocketing : several PrestaShop and PHP/ MySQL versions, contexts of specific use etc.. This is when a thoughtful testing approach is required, including automated quality control processes. The predicted end of manual testing ? Over the past 10 years, several automated testing technologies were born and some names are constantly thrown back at diner tables of geek socialites, leading to think noone ever proceeds to manual testing anymore. Of course, this is greatly exaggerated. Human tests remain necessary. The new principle is, alike many areas, to use IT to prepare the work load and “maximize” the potential of humain brain. In parrallel, this is about integrating tests as soon as possible in the development chain, hereby preventing the case of one discovering some components are out of order after a complex implementation was completed. Unit testing is about individually testing each component of the computer code. An integration test will check whether several components properly function together or not. 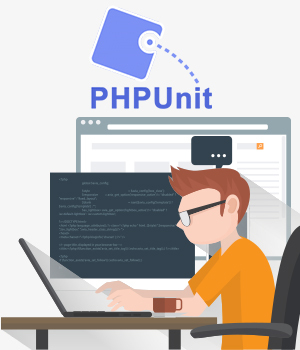 – unit testing will consist of testing the addition process injecting 1 + 2 in the component managing additions and then checking the result is 3. – an integration test will test the addition process typing successively the keys “1 + 2 =” and then checking the result displayed on screen is 3. This second test validates different components working together simultaneously : the keyboard, the component managing additions and the screen. However if the test fails, how can we figure out which component is ill ? Should the screen display 4, maybe the keyboard sends 2 no matter which key is typed ! This example perfectly illustrates how we need to perform both families of tests : unit tests while components are being developped, then integration tests once components are available. Both families of tests can be automated but integration test automation is more complicated : in order to perform the integration test above, one would have to simulate clics on the calculator keys and then read the result displayed on screen. Thereby, integration tests generally remain manual. Most developpers no longer need to be convinced about necessity and efficiency of coding while performing unit tests, but they might as well actually do it ! In fact, performing unit tests requires a change of work method and escalated rigor. Moreover, despite being acknowleged as a best practice, little documentation or tools are available. Simply type “PrestaShop unit testing” in Google and observe very few results are relevant. Despite the fact some embryonic unit tests have appeared with PrestaShop 1.7, there is no solution covering all versions and enabling complete tests whether official or from the PrestaShop community. Looking back 6 months ago, our tests were almost entirely conducted manually and they were all integration tests. This was time-consuming and did not guarantee 100% quality. For test automation it is necessary to set up a processing chain far outrunning the unit test by itself. E.g how to test different PHP versions, as mentioned above. One key component of our processing chain is Docker, enabling to perform both human tests and PHPunit tests in a virtualized environment, created on demand. This first article regarding our internal technology choices will be followed by more content in our Lab section. We will also share some tools of the processing chain. Stay tuned : Follow-us or subscribe to our newsletter ! Want a foretaste of Paris Retail Week 2017 next week ? French organization Fevad has released its latest ecommerce figures for 2016-2017 in France. An opportunity to catch a few trends and prepare your arrival to the 3-day fair. What are the main figures to keep in mind ? Global ecommerce sales have increased by 15% in 2016 compared to 2015. This flawless growth is partly due to M-commerce booming by 16% compared to last year. The M-commerce era was long announced, it is just the beginning. 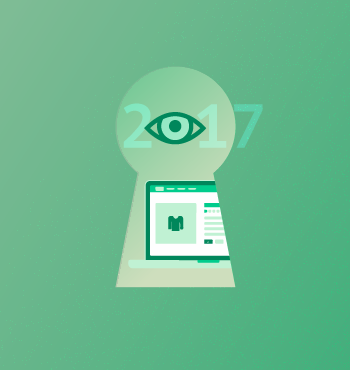 (See our post from December 2016). The fastest growing industry is online reservations for “tourism” products, including flights, hotels, rentals, leisure activities. 22 000 new online stores were launched in 2016 but only 4,5% of all French emerchants make it above 1 million € of sales. This is not news, many small ecommerce have a hard time towards profitablily while the biggest ecommerce are giantitic. Marketplaces stand for a growing proportion of overall sales : 28% of total sales on average (+18% increase). Who will afford to sulk Amazon or eBay and not have their stock rotating ? 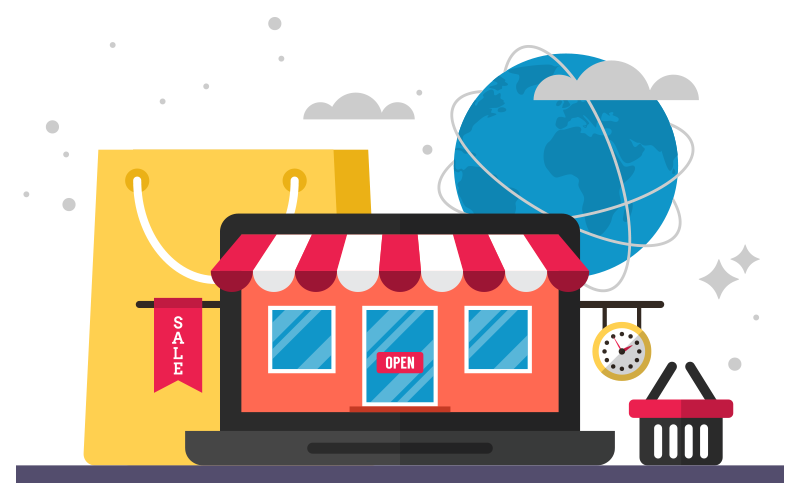 202 ecommerce can help install and configure the marketplace connector of your choice, therefore making it possible to publish listings and synchronize stocks and orders. The only dropping figure of the yearly study comes to the average cart. It has lost 7% and is now around 70€. This can be explained by the overall online purchase frequency going up. Consumers buy fewer products more often, thanks to softer shipping fees and fast delivery. Amazon Prime is a screeming example on this regard : through an annual subscription of 50€, all items are delivered to your door for free the next day. The complete study in English is available for download here. These stats will be used and commented next week at Paris Retail Week (Salon eCommerce) from September 19 to 21 at Portes de Versailles Hall 7. It is advised to get your bagde online. Entrance on the spot will be charged 50€. (probably an attempt to maintain a business audience and preserve it from wanderers). 202 team will be waiting for you @stand D20 in the PrestaShop Village. Come and talk to us about your ecommerce projects ! What is a web agency for ? Among merchants contacting us for the first time, there is one recurring question : “Why should I work with an agency for web developments?” Closely followed by : “Since PrestaShop is free, do I need a technical partner at all ?”. We recommend to get advise from a technology partner starting from day 1. A robust and well designed store will remain stable in 6 months and longer, when first evolutions are required. Therefore, choose your partner very carefully. Many profiles exist. Selecting one or the other is about going either with a multi-disciplinary agency, a freelancer, or finding self-sufficient solutions for the merchant : hire a developper, learn new technical skills. 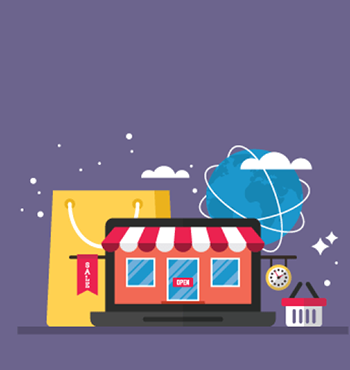 – Do it yourself : in the event where the merchant gets training and learn new skills, his time dedicated to web developments will not be spent on what should be his main priorities : webmarketing and product offering. In the best scenario, his skills will be capped on all topics. He will then become knowledgeable about many things but expert in none. DIY can also imply hiring the first developper, should there be enough work to keep him busy. In this case the developer is liable for all risks in terms of project quality and timing, but his cost (his salary) is known beforehand. In the long run, the developper can act as the go-to-contact for the web agency, manage and supervise all work done by 3rd parties. – Freelancer : by definition this is a stand-alone role. 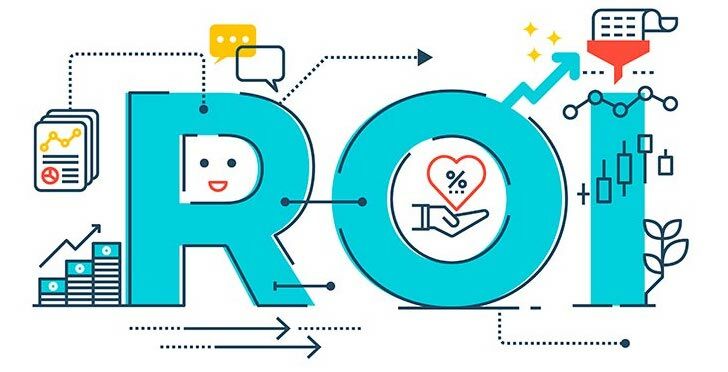 Generally more cost-effective than the agency, the freelance developper is a risky bet in the sense that he is liable for the project outcome alone yet does not provide any guarantee. Better know who you are dealing with, either from previous works or through trustworthy recommendations. – Web Agency : Despite higher structure costs (offices, transerve team members…), the web agency provides multi-disciplinary skills and internal processes that come to guide the advancement of the project : versionning tools, technical documentation, test servers, test plans and full testing before release. So how far does the agency go ? 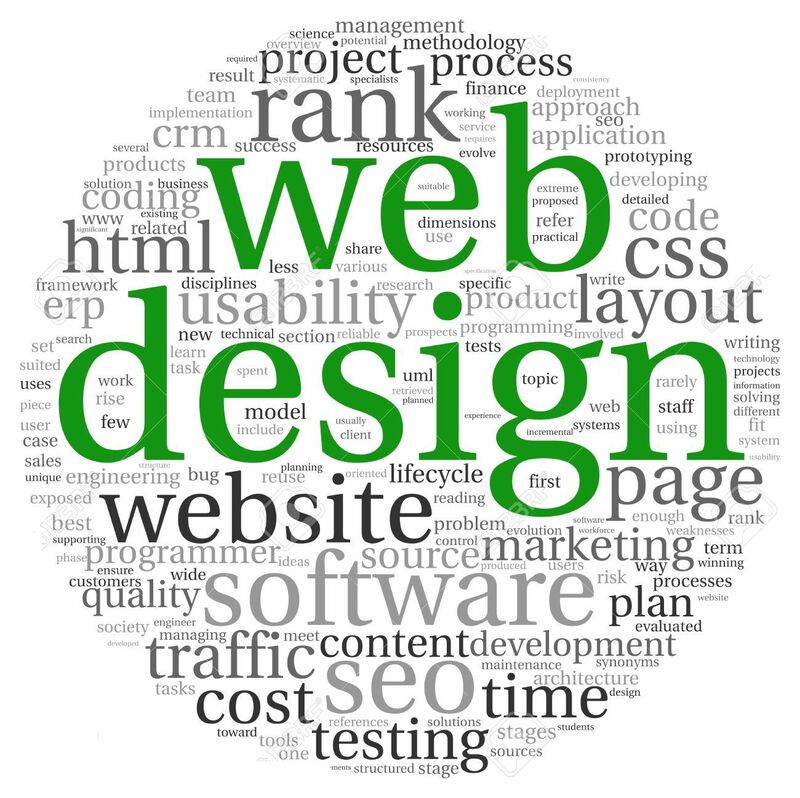 The (web development) agency provides a full service range including technical skills, design, business understanding, ability to put themselves in the merchant’s shoes. It is meant to partner on the long run, and work as an extension of the merchant’s team. The agency is likely to be in charge of new development projects as much as corrective maintenance. Maintenance is generally estimated in a quarterly pack of ready-to-use credits. * suggesting an alternative solution if your request for developments require important costs that could be avoided with light-to-moderate modification of scope. * consider allotments, that is divide developments into smaller tasks in order to meet deadlines and calendar constraints (sales, festive season, annual inventory etc..). * alert on unnecessary risks related to your requests, from a functionnal perspective, in the long run, or something contradictory with ecommerce best practices. For instance, designing a check-out pictogram on the top left corner of the header, instead of the right, would generate a bad conversion rate in the western world. * be familiar with your webmarketing KPI (available in GA) and make recommendations. Like any human-based selection process, trust is key. Either because it was warmly recommended to you or because the agency’s references are in line with your project : are there similar scale references ? When was the last similar-scale project released ? How long was the project ? If failing to provide lengthy references, has the agency understood my vision and picked my brain about it ? When it comes to selecting the best technical partner for your business, and keeping in mind this will become a key relationship for the next few years, one should not hesitate to consult several agencies and ask for quotes. The answer lies in the balance between cost and features. At 202 ecommerce, in an attempt for transparency, we like to provide as much budget line detail as possible. WYSIWYG ! The most discussed topic among PrestaShop community is currently PrestaShop 1.7 version. Are these the right technologic choices ? When will there be a stable version available for production ? Which modules are compatible ? Let’s have a look at the situation. A few months ago, PrestaShop released its first 1.7 stable version, but it was not to be used for a store in production. The “stable but not for production” concept appeared rather odd and surprising, as far as this definition usually does not exist in software production : a release comes either stable or not ! The truth lies in the details : PrestaShop 1.7.0 passed quality tests but was never beta-tested in full production, since many native modules were lacking, including all 3rd party modules. 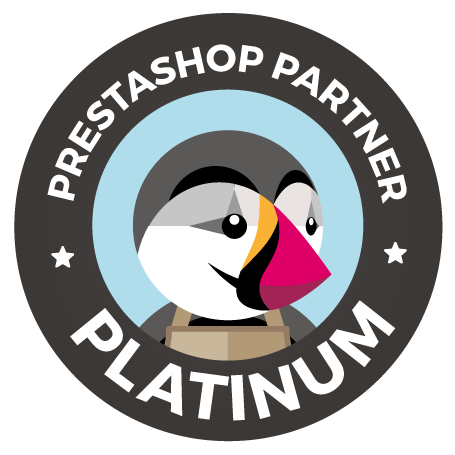 PrestaShop 1.7.0 was therefore meant for developpers and partners, so that they would start working on peripheral features : modules, themes and so forth … although this temporary limitation of use was little or not communicated by PrestaShop. Meanwhile, PrestaShop 1.7.0 confirmed its technology shift, including gradually implementing Symfony. First of all, both frameworks coexists fine (Symfony & legacy – being the previous code -). Response times from Symfony do not look (too) degraded. Module/theme interfacing does not got disturbed (beyong functional evolutions). Opting for this gradual migration, PrestaShop ensure service continuity and saves us from a technological breakdown, which would create “stop” reactions that usually come with any major changes. Although some improvements are still to come, PrestaShop has made great efforts which start to show. – A quality team has been set up, providing a full-on test strategy, including automated non-regression tests. – Product managers, whose role is to design the software before coding, are now pinpointedly processing functional and technical needs, and considering all options to get there. PrestaShop 1.7.1 is currently in beta mode, its official release should come anytime soon (Edit : was released on April 3rd). 1.7.1 will most likely be stable and reliable for production. The “download” button should now redirect to 1.7 branch and no longer 1.6. Beware ! At 202 ecommerce we consider PrestaShop 1.7.1 to be 1.7 first real version. Therefore, we recommend it to early-adopter retailers only. Should you not be prepared to experience some corrective changes and / or live with a few bugs, better wait for 1.7.1.1 :). PrestaShop 1.7.1 includes a dozen natives modules on top of those already available in 1.7.0, so functional coverage is getting close to 1.6 (see below). Moreover, many partners have had time to get their modules compatibles, including Paypal (which we are in charge of). Lastly, 1.7.1 includes a “1 click upgrade” updated module, which allows upgrading from 1.6 to 1.7. Beware again, do not launch any upgrade in production before tests and backups. – Notifications (new clients, new orders etc..) centralized within one dropdown menu. This makes the BO header significantly lighter. – Redesign of the sidebar, focusing on the most used pages on a day to day basis, orders now coming first! A module section totally modified. – Installed modules are sorted in 3 sections : theme modules, pre-installed modules, modules added by the seller himself. – Module notification system, sorted in 2 sections : updates and configuration required. – User DOB is no longer a required field when creating an account. – Password is (at last!) no longer sent by email when creating an account. As you may have noticed already, PrestaShop 1.7 embarks a new theme, which is not compatible with PrestaShop 1.6. If your current theme is custom made, you will have to design a new compatible theme for 1.7. – New hybrid funnel, between 5 steps funnel and One Page Check Out (accordion). The new funnel takes the best from both worlds. – New funnel is compatible with EU and German lastest regulations. As much as PrestaShop is the best tool worldwide, some 1.6 features have not been embarked in 1.7 :-(. Here is our list of what we think is missing at this time, and their status as far as we know. 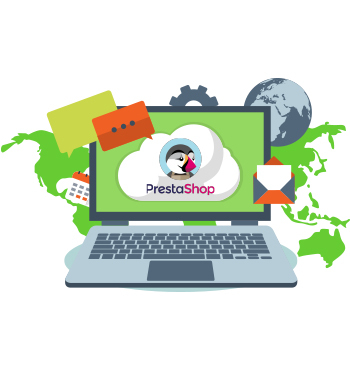 We look forward to install PrestaShop in production environments, thereby confront this new version to the crual reality of a production world and to keep working, together with PrestaShop, on upcoming versions. Yesterday, 19th June 2016, the eBay Pro Sellers Day took place. 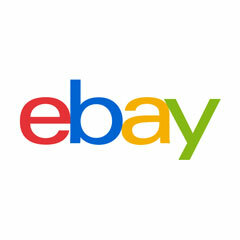 This annual event lets eBay share information and advice with the merchants who use eBay to sell their products. E-commerce and logistics: what solutions does eBay offer? eBay is a platform allowing buyers and sellers to come together, and no more: eBay’s role isn’t to sell products, or impose paid services (such as logistics) which might influence search result rankings. 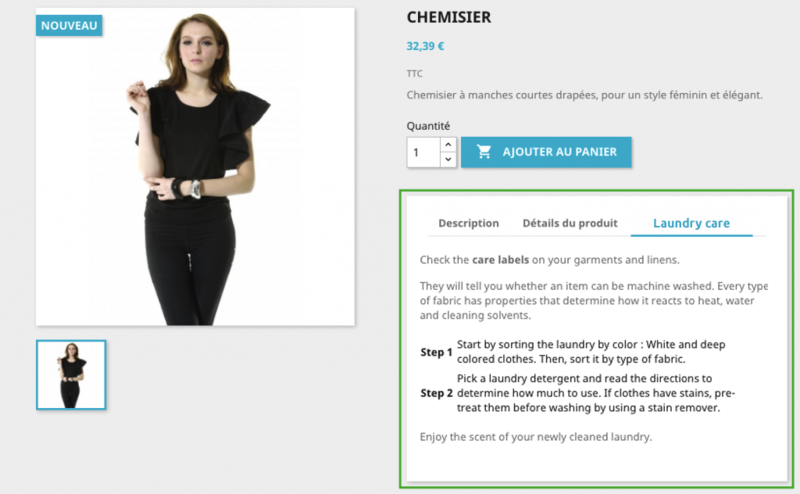 These product codes will allow automatic listings categorisation. The eBay client guarantee will let clients buy with confidence through an integrated management process from the after-sales service. The eBay shipping platform lets eBay sellers send products with business conditions negotiated by eBay. 15% increase in turnover noted on average by sellers using the sales booster. Sales and marketing team chooses products to highlight according to the time of year (season, special events, trade periods) and promotes these products via the newsletter, retargeting ads & social networks (Facebook, Instagram etc…). The selection is made by the merchandising team from the products submitted via the promotion programming tool (2 weeks in advance). The selection criteria are: good price, free shipping, Top-rated Seller status, stock, demand (merchandiser expertise). Pro sellers can set up advertising campaigns on eBay site that can be triggered buy products bought, cart content, or searches carried out with eBay search engine. Our eBay module is evolving, all the information is on the dedicated page! 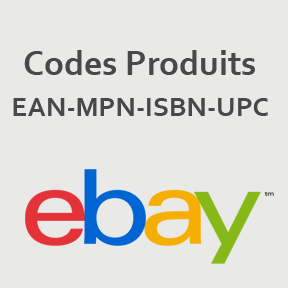 Since January 26, product codes (EAN, MPN, UPC or ISBN) are mandatory for any product sale on eBay marketplace. If you synchronize products on eBay with PrestaShop using eBay Markeplace module, everything is ready: product codes synchronization feature has been added in last module version. This new requirement allows listings to benefit from greater visibility in search results on eBay, but is mandatory only for specific eBay categories. For more information about the reasons for this requirement and know the impacted categories, contact eBay or read this page : Italy, Spain, UK, Germany. Step 1: choose PrestaShop fields to associate with “Brand” and “MNP” on eBay. Step 2: choose PrestaShop reference field to synchronize with EAN on eBay. Synchronization your products on eBay again. For detailed synchronisation steps, configuration examples based on catalog type, please visit our online documentation on product codes for PrestaShop eBay module. If despite this great documentation you have a problem, please open a support request on our support portal. Do not waste a single second, and boost your sales with the product codes on eBay!